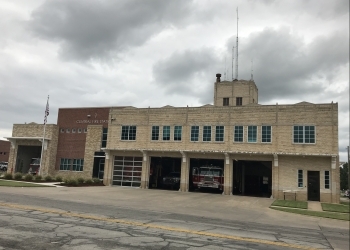 The Bartlesville Fire Department will hold a special ceremony at 9:05 a.m. Friday, April 19. They will honor those who were killed or injured in the April 19, 1995 bombing of the Alfred P. Murrah Federal Building in Oklahoma City. The ceremony will be held at the Central Fire Station located at 601 S. Johnstone Avenue. The public is invited to attend. The Oklahoma City bombing killed 168 people – including 15 children – and injured 680 others. Hundreds of rescue workers from around the country responded to assist in the aftermath of the blast, including several members of the Bartlesville Fire Department. The names of those firefighters will be read aloud during the ceremony. The ceremony will also feature the BFD Honor Guard, a prayer and moment of silence for the fallen. Remarks by the BFD Training Chief and Public Information Officer Bill Hollander will also be given.